Got Synergy running on my FreeBSD machine. This entry was posted in #Code, #Free Software, #FreeBSD, #Future, #Infrastructure, #Islandgeek, #Open Source, #Software, #Tech Business, #Tech Lifestyle on May 21, 2018 by Stanford. Source Code for my UVI senior research project – Back in 2000 !! Here is the source code for my senior research project on Genetic Algorithms from back in 2000. Amazing !! This entry was posted in #AI, #Automation, #Code, #Free Software, #Islandgeek, #Philosophy, #Software on May 20, 2018 by Stanford. So I made the jump to using FreeBSD on the desktop and it’s beginning to grow on me. Some notes. I got the Nextcloud client running after running into a bunch of issues with Qt5. This now allows me to keep my files in sync and makes the time on my BSD box that much more productive. Workflow is now enhanced. 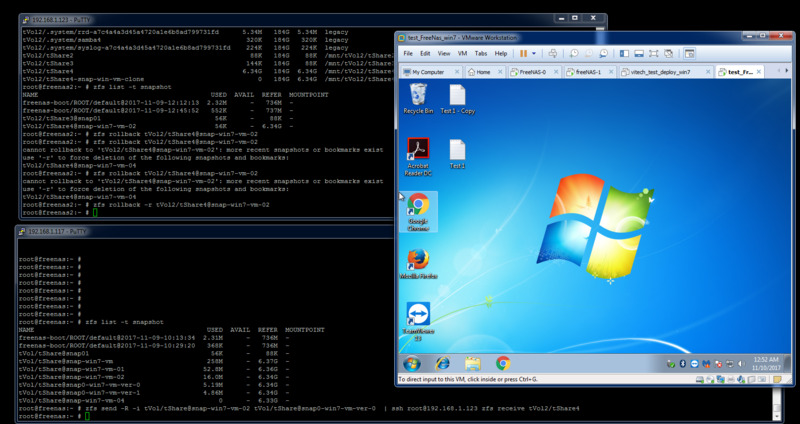 Using XFCE as my desktop with Compiz as a windows manager. I fell in in love with the cube multidesktop feature when I saw it at a Linuxworld years ago. Now that I am doing things mostly from the terminal, it gives me the incentive and environment to automate more and more. Have to look into some other browsers beyond Chromium and Firefox. Once I have rdesktop and xfreerdp, I can manage my MS Windows systems without much issues. All in all, a challenging experience, but one that I am glad I did. This entry was posted in #Automation, #BeastMode, #Business, #Caribbean, #Code, #Entrepreneur, #Free Software, #FreeBSD, #Future, #Geek, #Infrastructure, #Islandgeek, #ITNinjaSkills, #Nextcloud, #self reliance, #Tech Business, #Tech Lifestyle, #Techlab on May 19, 2018 by Stanford. I build tools for my use. Hardware, Software, and services. I build not to sell, rent and/or give to others. One cannot solve the problems of others, until she can solve her own. While I am supporter of Free Software, both beer and freedom, I most importantly support the freedom to do what you want. This is because I don’t want anyone telling me what to do with my life. If I follow your instructions, know that it is because I deem it in my own best interest. Our goals have been aligned. Nothing more, nothing less. This entry was posted in #Automation, #Business, #Caribbean, #Code, #Energy, #Entrepreneur, #Enviroment, #farming, #fintech, #Free Software, #Future, #Hacking, #Hardware Hacking, #Infrastructure, #Internet Culture, #IOT, #Islandgeek, #Maker, #Nextcloud, #Open Hardware, #Open Source, #Philosophy, #Robotics, #self reliance, #Software, #Tech Lifestyle, #Techlab, #Transhumanism on November 14, 2017 by Stanford. Spent the day testing ZFS, via FreeNAS, as a VM storage medium. Got it to do snapshots, rollbacks, clones and the most important, incremental backup to remote systems. The goal is for this to allow my core data to be replicated to remote repos for security issues. This is most imperative after Irmaria. Resources that were most helpful. This entry was posted in #Automation, #Business, #Code, #Free Software, #FreeBSD, #FreeNAS, #Geek, #Hacking, #Infrastructure, #Islandgeek, #Open Source, #Security, #self reliance, #Software, #Tech Business and tagged #FreeNAS on November 10, 2017 by Stanford. This interview, while 5 years old, continues to highlight why I think RMS is on the right path. This entry was posted in #Code, #Entrepreneur, #Enviroment, #Ethics, #Free Software, #Future, #Hacking, #Hardware Hacking, #Maker, #Open Hardware, #Open Source, #Philosophy on March 23, 2017 by Stanford.